US equity indexes closed somewhat mixed, sp -5pts at 2496. The two leaders - Trans/R2K, both settled +0.1%. VIX settled +6.5% at 10.21. 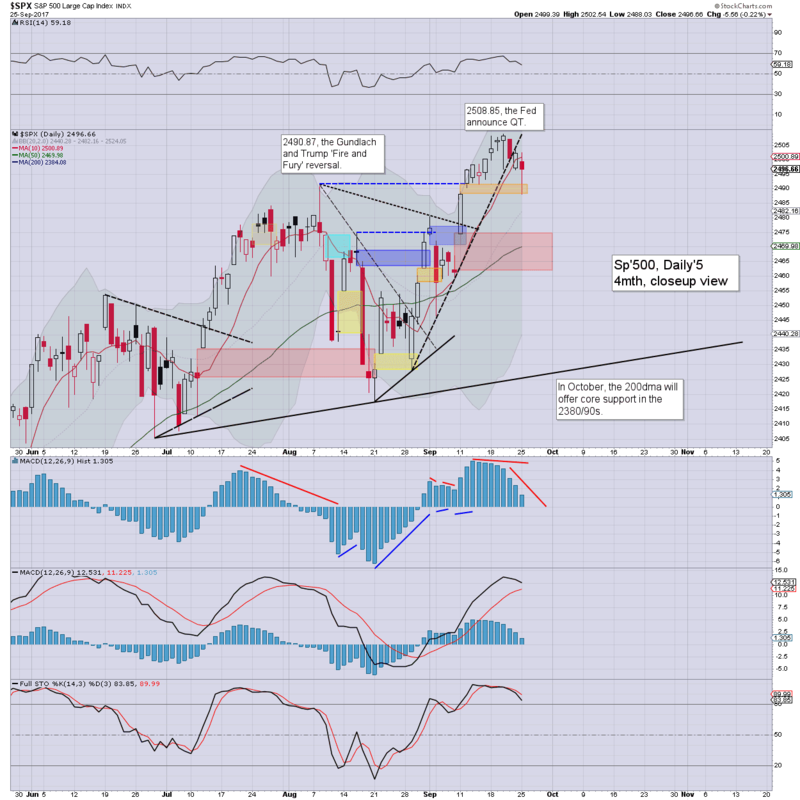 Near term outlook offers the sp'2474/61 zone. Things would get 'real interesting' with a Sept'/Q3 settlement <2471, which really isn't that bold a target. US equities opened a touch weak, but then saw a sharp down wave on comments from the NK foreign minister that Trump's weekend comments amounted to a declaration of war. Yet the equity downside was only moderate, with the VIX showing just a little concern in the 11s. Indeed, the R2K broke a new historic high of 1455, reflective of underlying main market strength. 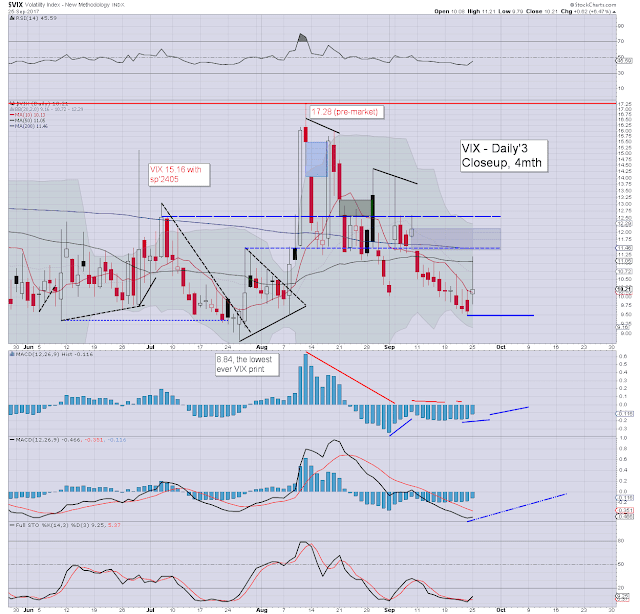 The afternoon saw a minor bounce, but notably settling broadly weak, with VIX managing to settle outside of the 9s. Near term offers the sp'2474/61 gap zone, which will likely equate to VIX 12/13s. To see 14s or higher, will surely need sp'2450 or lower. That does look likely though, and it won't require anything nightmarish happening in east Asia. Here in the metropolis... grey horror. In the distant background, the towers clad in flammable Arconic (ARNC) products are finally being stripped. I wonder if I'll get at least party invoiced a few dimes for that via local taxation.